I know the catch phrase has become cliche, but I couldn’t resist. The Environmental History Mobile application has now landed in the Apple App Store! iPhone, iPod Touch, and iPad users can now download and install this new mobile application on their devices. EH Mobile provides users with a single portal to connect with a wide range of global environmental history content on the internet. The app aggregates news, announcements, H-Environment messages, blogs, podcasts, the #envhist Twitter tag, and even Environmental History, the journal. This is a new way to connect with the environmental history community. To download this app, simply search “Environmental History Mobile” in the Apple App Store or follow this link. As many readers may already know, this project was funded by a small projects grant from the Network in Canadian History and Environment. Jim Clifford and I worked for just over a year to put together this app as a new form of digital communication for environmental historians. Because we did not want this app to be limited to just Canadian environmental historians, we have included content from around the world, including the United States, Europe, Australia, and New Zealand. The content on this app is available in multiple languages as well, including English, Spanish, and French. We are, of course, always looking to expand the content on EH Mobile so please get in touch with us here if you have content you would like to add to the app. 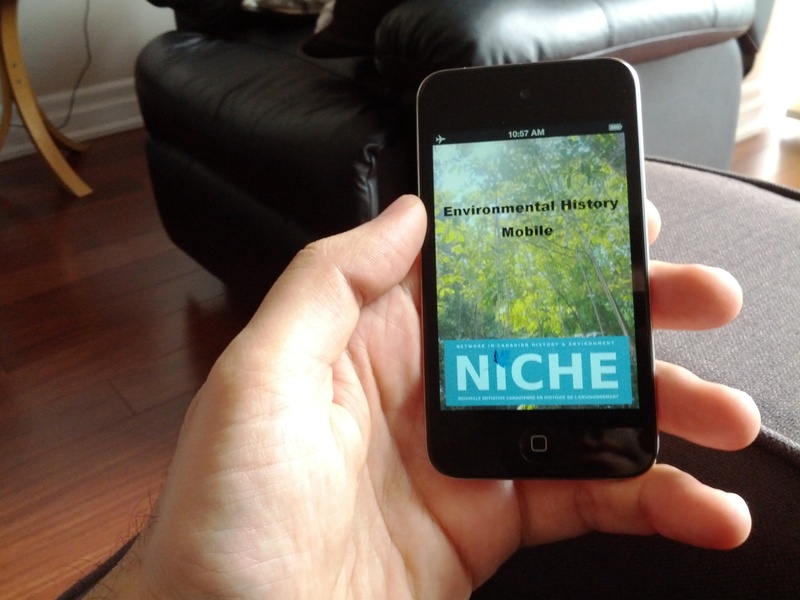 If you do not use an iOS device, you can still access much of the same content through our new environmental history news aggregator website at http://envhist.com. Oh, and did I mention that the app is free? Happy downloading and please leave a review on the App Store.